Some woodworking projects are for fun, some are skill builders, some are to keep the lights on and some are for necessity. 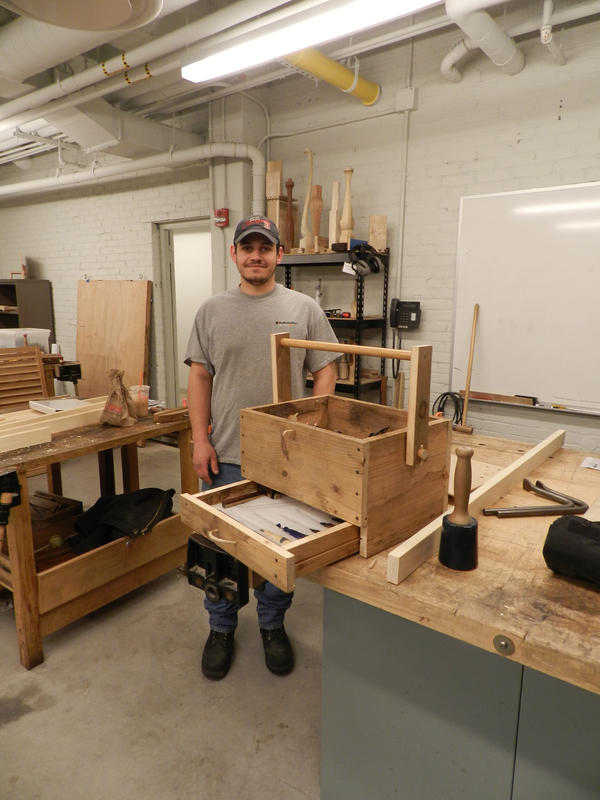 As they say “necessity is the mother of invention.” When taking a woodworking workshop at the North Bennet Street School one of the challenges is often lugging all your tools to class. The school is set in the North End of Boston and most folks take public transportation to get to the school as parking in that area is expensive and in short supply. I’ve seen folks use bags, backpacks, plastic toolboxes, 5 gallon buckets, rolling carts, suitcases, you name it. I can still remember lugging big toolboxes on the subway when I was student. He designed it off the top of his head and made it mostly from a single pine board. What I like about his utilitarian design is how he translated a lot of the traditional hardware needs into wooden or other natural equivalents. 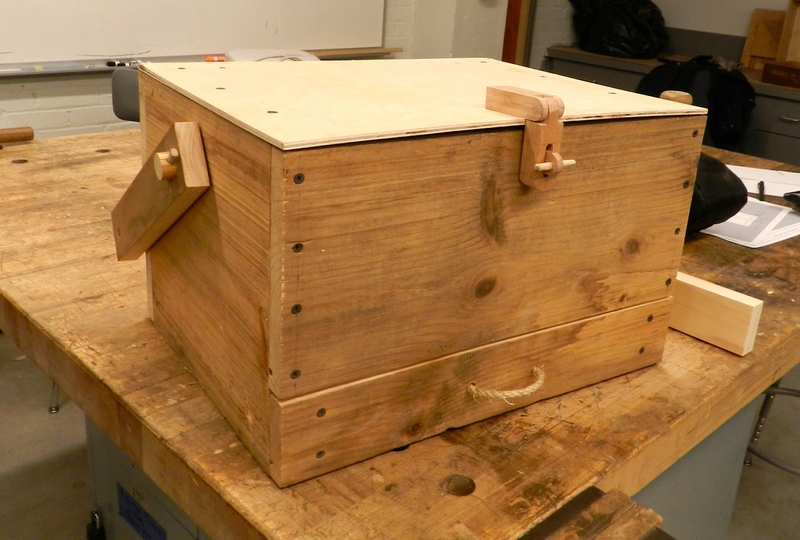 Note the oak hasp which is articulated and secured with wooden pins. A hemp rope drawer pull. 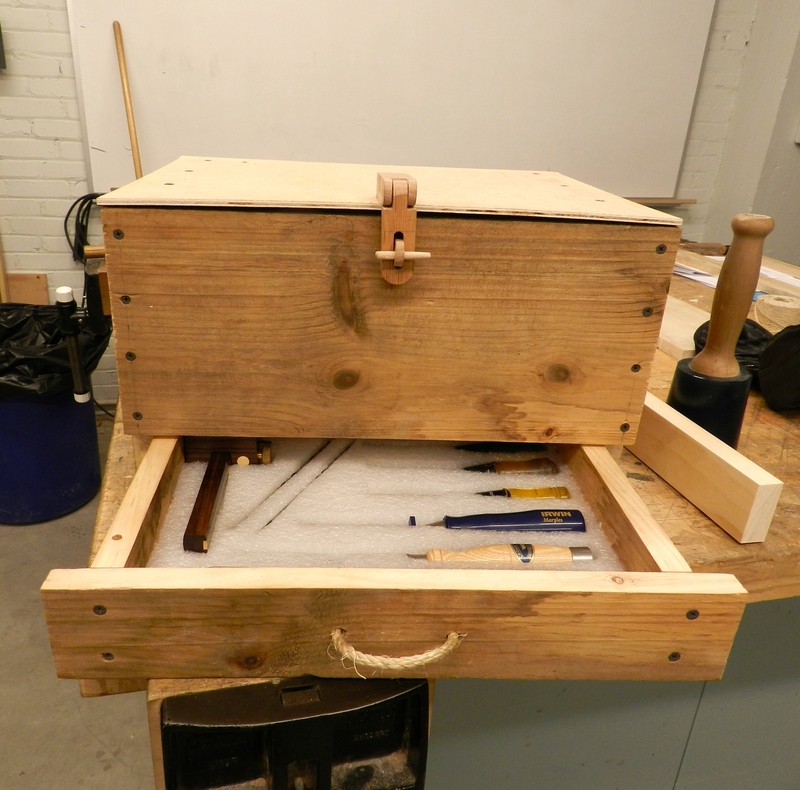 Dowels to secure the moving wooden tote handle, sliding top secured by a captured dowel etc. 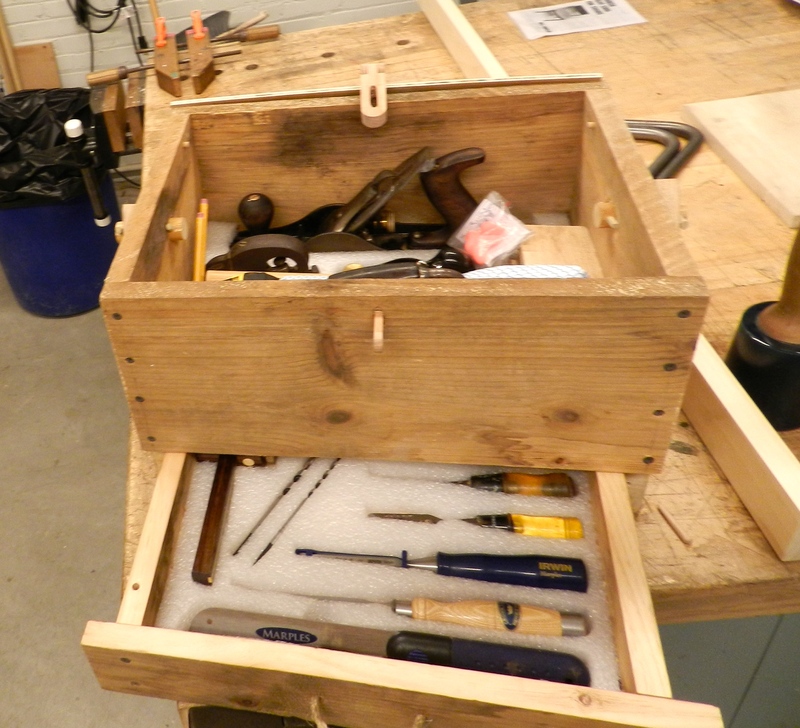 I also like how Jordan used some packing foam to ‘French Fit’ all of the tools into his toolbox. Worthy of a set of plans for it’s simplicity and ingenuity of design!